When will be All Hail the Veil next episode air date? Is All Hail the Veil renewed or cancelled? Where to countdown All Hail the Veil air dates? Is All Hail the Veil worth watching? A bride-to-be visits three very different salons, as they try to make her choose the dress from their boutiques, however the decision is left to the bride, who at the end of the episode reveals what she has chosen to her friends and family. Keira has a decision to make as she chooses between three dresses for her wedding in a Scottish stately home. Paige has a decision to make as she chooses between three dresses for her wedding. Claire has a decision to make as she chooses between three dresses for her Fairytale wedding. 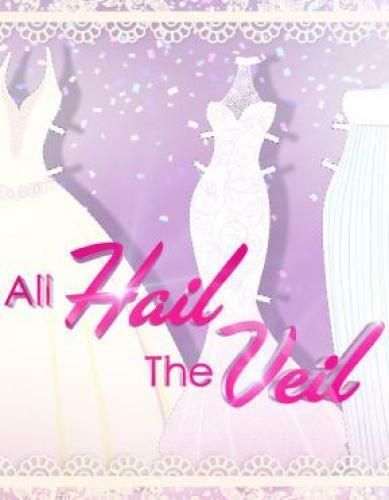 All Hail the Veil next episode air date provides TVMaze for you. EpisoDate.com is your TV show guide to Countdown All Hail the Veil Episode Air Dates and to stay in touch with All Hail the Veil next episode Air Date and your others favorite TV Shows. Add the shows you like to a "Watchlist" and let the site take it from there.